Braxton Rose is a ERYT 500-hour certified yoga teacher. 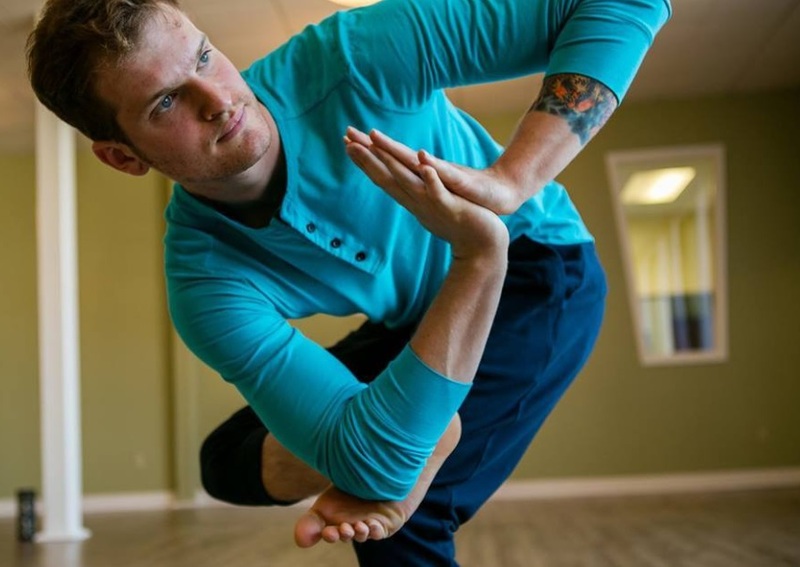 He completed his 200-hour training with Baron Baptiste of Baptiste Power Yoga and was certified in Yin Yoga through Josh Summers. He is a UMA Reiki Master through Anne Marie Seidenberg. Braxton completed his 300-hour Training with Claire Este McDonald and Gregor Singleton out of Divine Play Yoga. He has also done extensive work with his mentor Jordan Lashley. Braxton holds a Bachelor of Arts degree in Psychology from Allegheny College. I pride myself on my ability to not burn bridges. I approach all of my personal and business relationships with integrity and respect so that when, or if, I move on I am able to keep a relationship with the people I shared and grew with. By maintaining integrity you are able to build a more respectable brand and relationship with your colleagues. Different people resonate with different methodologies taught by different teachers. So one persons favorite teacher may not resonate with you. Once I had a student tell me that what makes me extraordinary, is that I'm extra ordinary. This is something I'm always working towards: to be relatable and real to my students. To build a community that supports individual and collective growth and to teach men to be vulnerable in their lives and jobs. Going to college without a high school diploma after being Un-Schooled (an alternative version to homeschooling), then graduating college a semester early. The ongoing struggle I have with OCD (Obsessive Compulsive Disorder). Don't listen to F.E.A.R (False Expectations Appearing Real). My favorite person is my wife Meghan. We met while taking the SATs. She is the most optimistic, caring, charismatic and compassionate person I've ever met. My role model is my Dad. His hard work and dedication to his family and career has inspired me to want to do the same for my family. Also, for all his hard work, he was always there for support, love and to just do dad things like play and explore. Siesta Keys in Sarasota Florida, Santa Barbara California, Denver Colorado, Anywhere in Massachusetts especially Boston. This list will definitely be getting bigger starting next month! I'm a huge fan of lululemon. Not only because the clothes work well for the amount of yoga I do. But because the company itself is awesome. lululemon flew me to Vancouver for a weekend Summit so I could meet other ambassadors from all over the world. It was incredible to see how lululemon was willing to support everyone in their own dreams and goals. And did I mention their clothes don't smell when you sweat through them?! Traveling. I am about to travel through Europe for 30 days.